Use of home as office calculator© : for paid subscribers. This is designed for use by a self-employed person in order to calculate how much to claim as a tax deductible expense for working from home. Each expense claim will be different and each claim must be based on actual business practice. This calculation requires a high degree of common sense combined with use of judgement and an understanding of both the type of business conducted and the tax rules. Expenses may be apportioned on different basis.This toolkit calculates expenses on the basis of number of rooms and hours. A different or perhaps a more accurate calculation may create a different result when taking into account actual usage and other factors as considered in the guide Working from home (self-employed). Use of rooms as a basis of apportionment may give you a skewed result if your office is small and other rooms large. 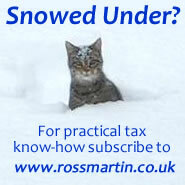 From April 2013 small businesses may alternatively claim a Fixed rate deduction. If you also work away from home, how many hours do you work away from home per day? Its useful to know this so that you don't overclaim home use. How many rooms do you use wholly and exclusively for work? If you are not working full time from home you may need to restrict your claim if you are not using rooms wholly or exclusively for the business. This calculation time apportions the claim over 24 hours. It may be more beneficial to work out usage on an expense by expense basis, see Working from home (self-employed). Take the combined totals from Step 3 and divide by Step 2A, then multiply by (2B + (1/2 x 2C)). Multiply the result by your total hours at Step 1 and divide by 24. Telephone costs are not included in this calculation as it is assumed that the business would either support a dedicated phone line or that any claim for the use of a private phone will be claimed separately based on actual use. You need to take a view as to whether repairs and renewals are included in this calculation. For example, if you refurbish your kitchen, sitting room/drawing room and bedrooms, which are all rooms which we normally expect to be used primately for private use, the objective in refurbishing may well be to make your home more pleasant and there is a duality of purpose, and no tax relief is allowed, and not even a proportion of the cost is likely to be accepted by HMRC or a tribunal. If you refurbish the room you are using as a office or workshop if the objective is to smarten up your workplace, make it habitable for work, make it presentable for clients, it is unlikely that anyone will object to a claim for part or all of the cost. The cost of something like re-roofing your home is very likely to be disallowed due to duality of purpose. According to its manuals HMRC will not challenge reasonable claims when there is minor use of home. Prior to April 2013 it seemed reasonable to assume that rather than attempt a calculation HMRC would allow at least the same allowance that HMRC allows employees who are homeworking. This has amounted to £3 per week for home working for 2011/12, and £4 per week from 2012/13. This is non-statutory. See our Flat rate expenses or actual cost toolkit. Go to Sole Traders > What expenses can I claim. Different rules apply to home working directors and employees. A directors is more likely to be able to charge rent and there may be some additional issues and complications by virtue of their office.